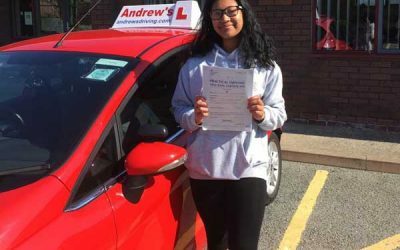 You will be asked two driving test questions during your driving test, the questions were previously known as show me tell me questions, however with the new driving test there are also some changes to the questions asked on the test. You will still be asked one tell me question at the beginning of your test, but you will be asked the show me question whilst you are driving. It is also a legal requirement that you answer these questions. 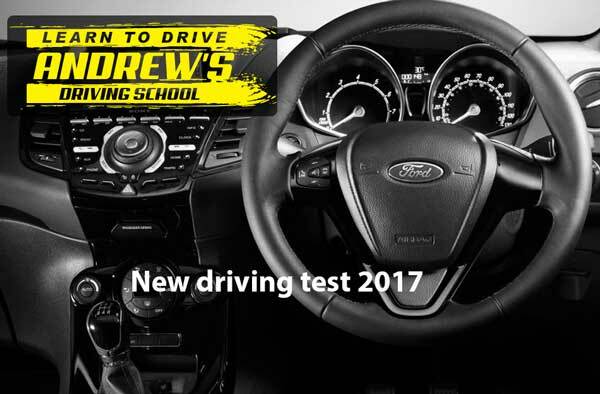 Watch the official dvsa driving test questions video here. As before the tell me question will be asked at the start and the questions are generally common sense. The tell me question will be asked whilst the vehicle is moving and it is important that you are able to demonstrate the answer without losing any control of your vehicle. If you are unsure where the relevant controls are then it is fine to pull over on the side of the road to have a look, after doing this you will be asked again to show the examiner while the vehicle is moving. These driving test questions are not designed to catch you out the answers are simple and straight forward. 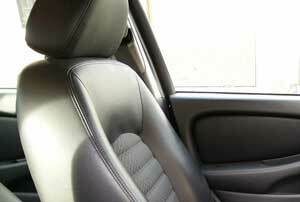 There are some questions which you will need to open the bonnet of the car to show the examiner where items are. With this in mind it is vital that you are shown by your instructor how to open the bonnet. 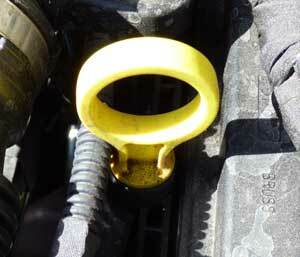 The last thing you want on your test day is to be fumbling around looking for the bonnet catch. 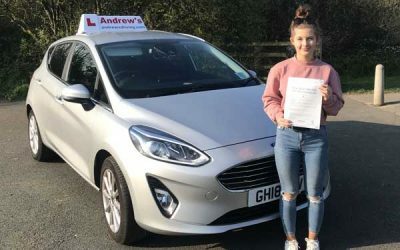 You will be asked one of these questions at the start of your driving test, these questions will be asked whilst the car is switched off and stationary. Q. tell me how you would make sure the head restraint is correctly adjusted so it provides the best protection in the event of a crash ? A. adjust the head restraint so the rigid part is at least as high as your eyes or top of the ears & close to the back of the neck. 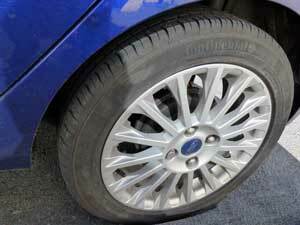 Q. tell me how you would know there was a problem with your anti-lock braking system ? 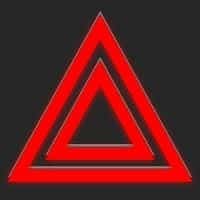 A. a warning light should illuminate if there is a fault. 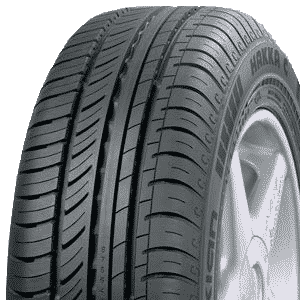 Q. tell me how you check the tyres to ensure that they have sufficient tread depth and that their general condition is safe for use on the road, and how tyre pressures should be checked ? A: The dip-stick is shown in the picture above. First off open the bonnet and check by removing the dip-stick, wiping it clean of oil, dipping it back in, removing it again and the oil should leave a mark between the min and max markings. Q. tell me how you would check the head & tail lights are working ? 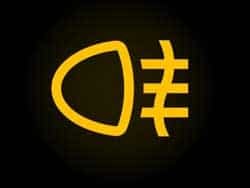 A. identify / operate the switch, then walk around the vehicle, check front & rear lights. Check your brakes are working ! Q. tell me how you would check the brakes are working before starting a journey ? Q. 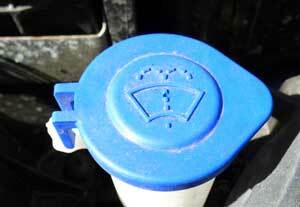 Open the bonnet, identify the windscreen washer reservoir and tell me how you would check the level ? A. identify the reservoir and explain how to check the level. The only way to check the level is to remove the cap and look inside. The screen wash is at the front on the right side. It has a blue cap on it. 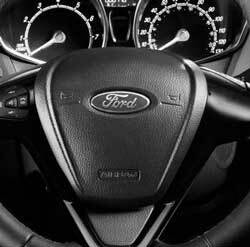 Q. show me / explain how you would check the power assisted steering is working before starting a journey ? A. if the steering becomes heavy the system may not be working properly. before starting a journey move the wheel left & right to check for assistance. Q .show me how you would check the brake lights are working on this car ? 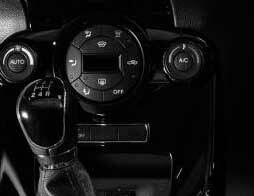 A. operate the brake pedal, make use of reflections in windows or garage doors, etc, or ask someone to help you check. 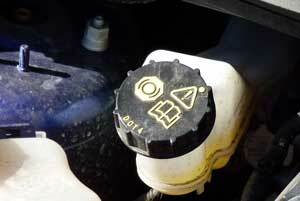 Q. open the bonnet, show me where the brake fluid reservoir is and tell me how you would check there is a safe level ? A. identify reservoir, check the level against the high / low markings. The brake fluid is at the back of the engine on the left side. Q. show how you switch your head lights from dipped to main beam and explain how you would know main beam is on? A. operate switch and check the main beam warning light. Q. tell me where you would find the information for the recommended tyre pressures for this car and how tyre pressures should be checked ? A. information in the manufactures guide,use a reliable pressure gauge,check when they are cold and don’t forget the spare. 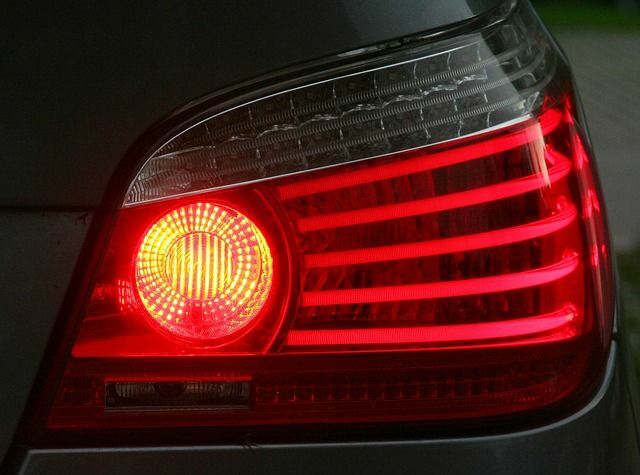 Q. show me how you would switch on the rear fog lights & explain when you would use them ? 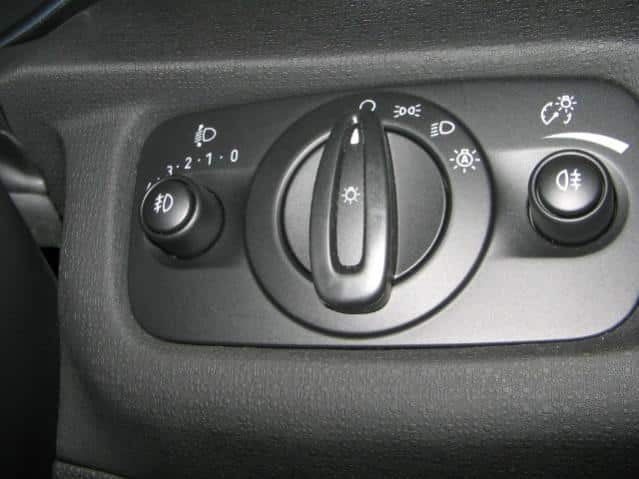 A. operate switch (turn on dipped headlights first) check warning light & explain that they should only be used in fog and then only when visibility is 100 metres or less. Q. show me how you would check the directional indicators are working ? 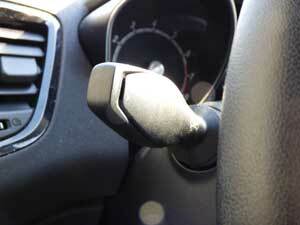 A. apply the hazard warning switch (or indicator switch) and check all functioning indicators. 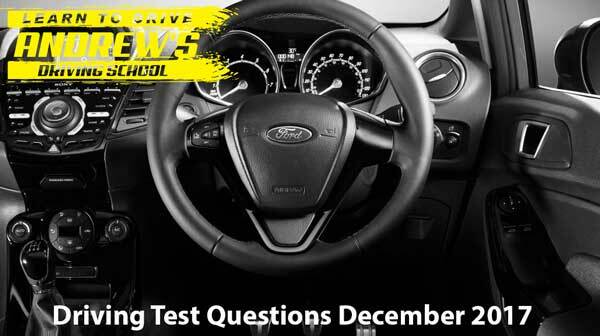 One of the following driving test questions will be asked at some point during your driving test, you will have to demonstrate the answer while the car is moving. These questions wil be asked while you are out on the road driving, it is vitally important that you do not lose any control of the vehicle and that you do not take your eyes away from the road. 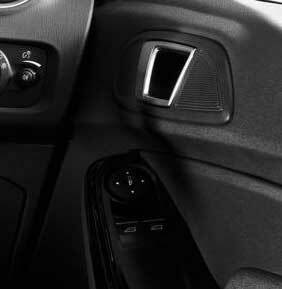 If you are unsure where the relevant control is,simply pull up in the nearest safe place to locate it. You will then be asked again whilst the vehicle is in motion, but this time you should know where to look. Q. When safe will you show me how you keep the front screen from misting? Q. show me how you would use the horn? A. 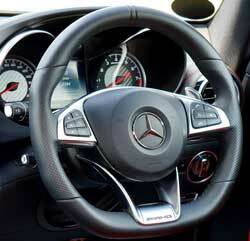 Simply point to the horn in the centre of the steering wheel, but don’t actually press it. Q. When it’s safe ,I would like you show me how you can wash the front windscreen? A. 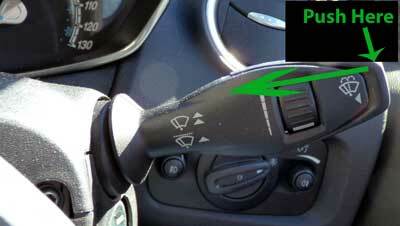 Use the stalk on the right hand side of the steering column. Do not do this whilst being dazzled by the sun, wait until it is safe to do it. Q .show me how you would switch on your dipped headlights ? A. Locate the switch and turn on the lights, make sure it is safe to do so and that you don’t flash anybody. Q. Show me how you would use the rear window demister? A. Push the button with this symbol on it. Q. show me how you would copen your side window? A. push the button down located on the doors arm rest, flick the button up to raise the window. Here are some clearly marked photos of Fiesta 1.0 Ecoboost, Fiesta 1.0 Diesel, focus 1.5 Diesel and Hyundai i20 all clearly marked to assist in remembering the show me tell me questions which are asked at the beginning of your driving test. 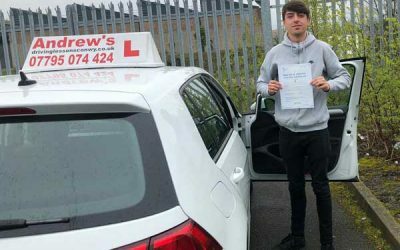 It is important to note that you can now obtain a serious fault for not answering the driving test questions, it is therefore very important that you are fully conversant with all the questions and that you are familiar with the controls. 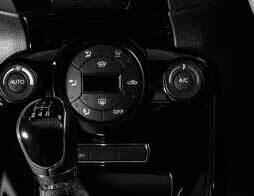 You can also pick up a serious fault for losing any control of the vehicle while attempting to answer the question. If you are unsure simply pull up on the left and have a look where the control is, then it will be easy for you to demonstrate it while you are on the move.